If you’re like most successful Toronto business executives and professionals, finding the time and place to escape the daily rigors of your job and lifestyle can often be challenging. From early morning meetings to “middle of the night” emergency calls, it seems as if you never have any time for yourself or your family. By adding a custom deck to your home, you’ll have a new place to enjoy a few quiet moments sipping coffee before work, savoring a romantic evening under the stars with a loved one, or planning a weekend barbeque with friends. The possibilities are endless and can all happen from the comfort of your own home. In addition to providing a relaxing retreat or lavish entertainment venue, the experts at HGTV report that a backyard deck will add significant value to your property. When you’re ready to sell, your perfect deck design will provide an added benefit to buyers, and you can expect to receive as much as 76 percent return on your investment. So, with little risk and great reward, it’s time to start visualizing your perfect deck. The best place to start is by picturing how you’ll use the space to enhance your life. Building a deck is an easy way to increase the living space of your home, but you’ll want to carefully consider how it will look and perform to gain the maximum benefit. By identifying the important components and uses up front, your contractor will be able to more closely match your vision. First, select a location. 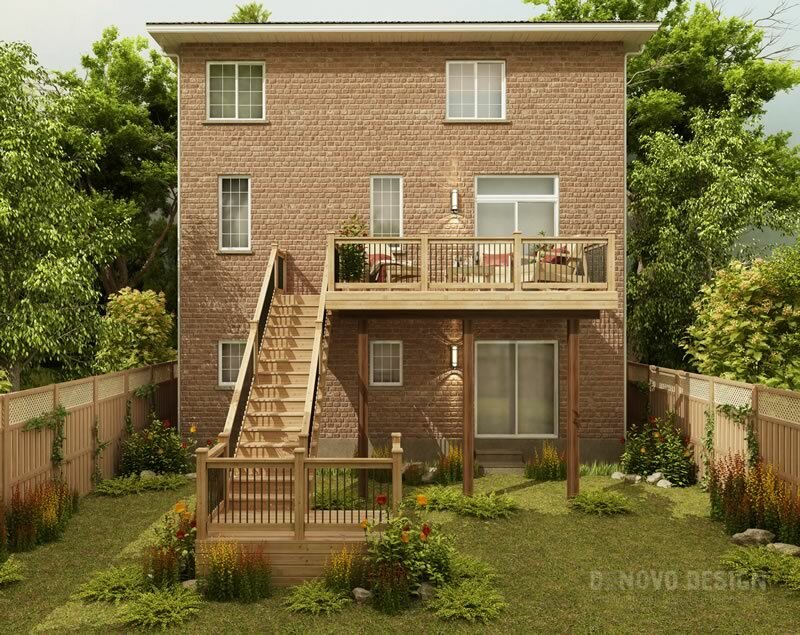 Will this be a main deck off your kitchen, dining, or living room and incorporate eating and entertaining spaces? While this is the most common location, many homeowners are now opting for a private deck off their master suite, a stand-alone platform away from the main house, or as a staging area around pools or hot tubs. Take note of the site’s orientation. While a west-facing deck is perfect for an early morning breakfast for two, it might be unbearably hot for afternoon dining or entertaining. Survey your yard for the location of trees. You definitely want to stay away from sap-dripping or nut-bearing varieties. While shade trees can be a nice reprieve from the hot summer sun, too much shade on your deck can cause excess moisture and a breeding ground for mold and mildew to eventually grow. While this may not happen immediately, it is something to keep in mind when selecting a location for your deck. The professional designers at KP Construction are experienced at identifying the impact sun, shade and wind can have on your deck and can help you determine the ideal location for your structure. Lastly, privacy for you and your neighbours should be a key consideration for the permanent location of your new addition. In areas with a direct sightline to adjacent properties, you may want to consider adding some screening for visual privacy. When it comes to building a deck, size definitely matters. The general rule of thumb is to allow four to five feet per person plus some extra for larger groups. 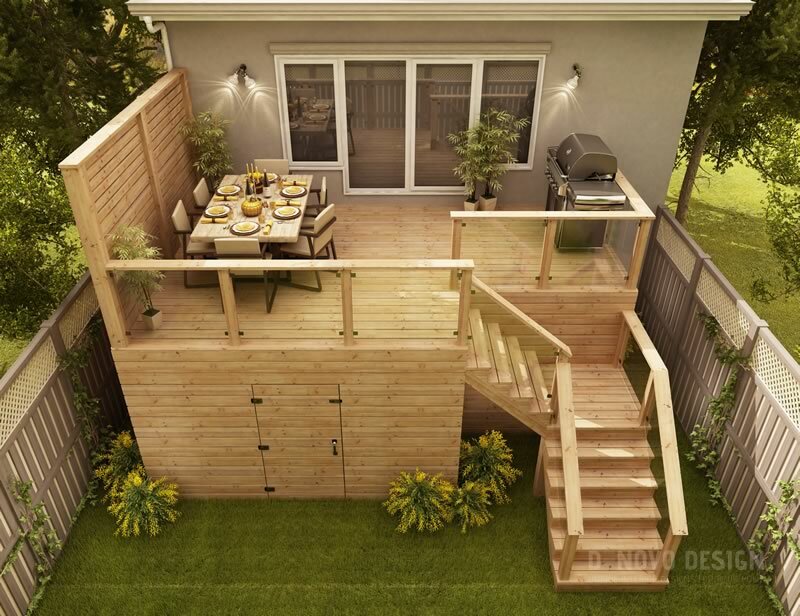 If your deck builder recommends a multi-level layout with designated spaces for cooking, dining, a kids’ play area, or other functions, you’ll want to be sure everything fits. Built-in grills, fire pits, cabinets, benches, planters and other permanent fixtures will all need extra space. The experts at KP Construction can help you determine the proper dimensions of each area and create a 3D visualization so you’ll know the design is just what you envisioned. Eat family meals – it’s recommended to allow a minimum of 36” to edge past a seated diner or 44” in traffic areas to walk behind chairs. Don’t forget to allow enough space to open an umbrella over the table too. Host cookouts and parties – it’s easier to create prep, grilling and serving areas on the deck than carry everything from inside the house. Lounge and relax – make room for long lounge chairs, small tables, a hot tub and a fire pit. You definitely want to make room for these activities away from walkways or high-traffic areas. If the hot tub is built-in, consider whether you want to keep it open year-round. While it seems fun to soak in a bubbling tub of hot water when it’s snowing out, having to shovel a path to get to it, might put a damper on things. Meditate or practice yoga – keep some open spaces where you can spread out yoga mats or follow an exercise routine. Create a container garden – this trending practice is therapeutic and beautifies the area with blossoms and greenery. Spend playtime with your kids – what better way to interact with your children than to spend time outdoors? You can build a separate level, add a kids play table, a sandbox and some colourful seating to make this a one-of-a-kind treat. Safety first – follow codes for railing heights and spindle distances. The possibilities are endless. The planning stage is the most critical of the entire project. The more detailed the plan, the better the final outcome. Now that you’ve got a clearer understanding of how you want your deck to look and be used, it’s time to see if the plan is viable. Obtaining high-quality, 3D scale drawings of your concept from a skilled contractor such as, KP Construction, will help your vision come to life. Here you’ll be able to clearly see traffic flow, spacing requirements and flaws in your plan. Easily make adjustments now to avoid costly construction changes later. Pressure Treated Wood – Due to its easy installation and reasonable pricing, this is the most common decking choice. Typically made from Southern yellow pine, manufacturers inject chemicals into the wood the prevent rot and insect damage. It can splinter and warp after extended weather exposure and will require cleaning and staining every two to three years. You can expect it to last 20 years or longer, depending on how diligent you are with upkeep and maintenance. Tropical Hardwoods – These woods are trending because of their rich colouring and resistance to insects and decay without chemical infusion. Selections are very dense so durability is not an issue. The woods are generally imported, so material costs are more than other options. Installation is extremely labor intensive as traditional nailing can’t be used – each hole must be drilled prior to setting nails. This will also add to the labor costs and timeframe to complete the project. The final product is exceptional, so it may be worth consideration. Redwood and Cedar – Both wood species have been used for years as the materials of choice for their natural defences against insect infestation and rotting. While neither requires significant maintenance, their soft structure means they can be more susceptible to minor damage. Untreated cedar weathers to a beautiful silvery gray but can be easily stained or sealed. A more durable Port Orford Cedar may be an alternative, but its light colouring will require the application of a sun-blocking protectant regularly. Redwood and cedar decks should last around 20 years. Composite – This has become a very popular option for its durability and wood-like appearance. It’s made from a blend of plastic and wood fibre waste and will maintain its original colouring for the life of the product. Regular cleaning is advised to prevent mildew growth. Installation is done with special fasteners but hidden installation systems can be used for a clean, hardware-free look. Composite decking can be expensive but with a life expectancy of 30+ years, it will be worth the investment. Ipé Hardwood – This natural product is made from Brazilian walnut and comprises the best qualities of all other choices. As one of the densest hardwoods available, ipe decks can withstand even the harshest environments. It is mold-, rot- and insect-resistant while maintaining beauty and durability. Installation is simplified with a tongue and groove system built into the planks. Matching feature pieces such as shiplap siding trim and moldings are also available. As you would expect from a high-performance product, pricing is on the high end, but it is guaranteed to last a lifetime. All decking materials require some type of maintenance to keep it looking its best. Even if you hire out the work each year, selecting the right decking material for your job and application will ensure your investment is protected for years to come. Your building contractor should be familiar and adhere to all the building codes and requirements of the Markham, Toronto and GTA locales. You should know that the structural footings of your deck must be a minimum of four feet below grade. Due to the freeze/thaw climate we live in, it’s especially important to follow the guidelines to minimize frost interference and shifting during seasonal changes. While a lot of thought is given to the decking material, layout and design, the railing, skirting, screening and overhead structures actually provide the most visual impact. There are unlimited choices for each element, but safety requirements must always take precedence. 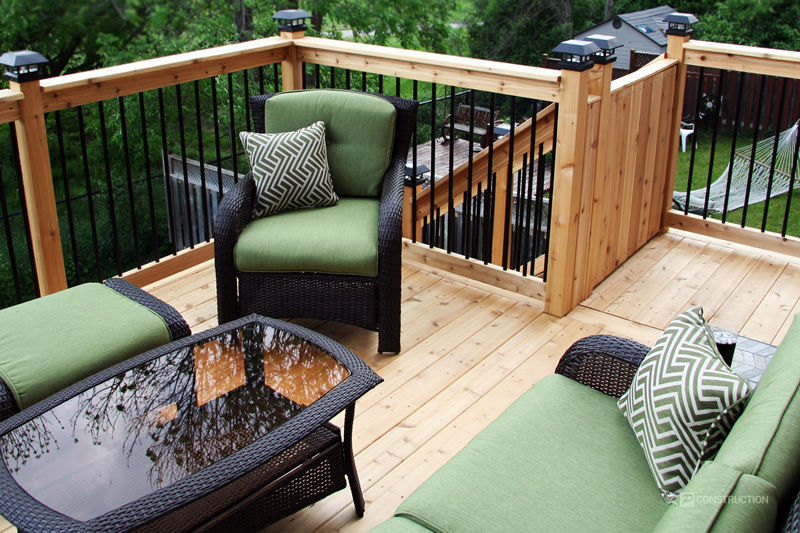 Building codes require railings to be installed on decks more than 24 inches off the ground and must be a minimum of 36 inches high. Spaces between spindles and balusters cannot allow a 4-inch spherical object (such as a head of a little child) to pass through. Trending railing options include: wood, steel cable, tubular piping, resin, metal sheeting or mesh, and tempered glass panels. Railing post caps and base trims create a nice finish and provide protection from the weather. Decorative skirting, pergolas and screening options vary widely as well. Consult with your contractor for recommended products and designs. Decor lighting isn’t regulated by building codes, but you’ll want to incorporate sconces at doorways and small lights at stair risers to prevent accidents. 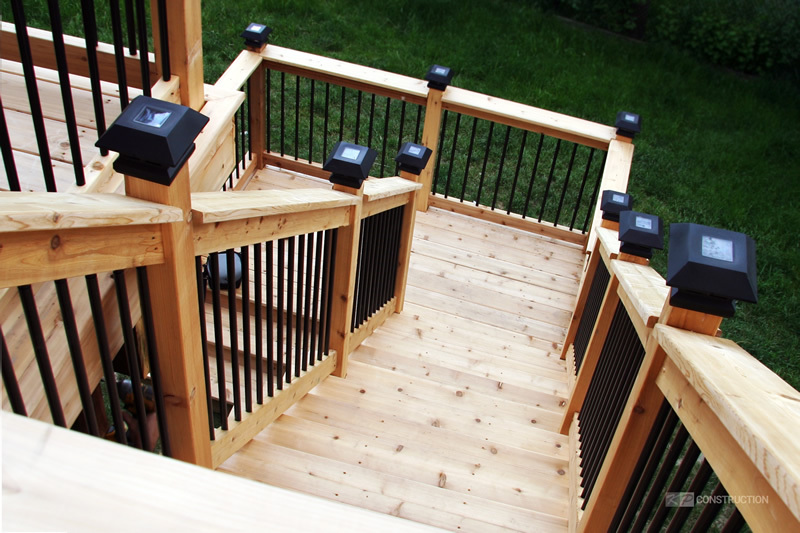 There are a variety of decorative deck lights available, including: post top lanterns, spotlights (that can be mounted in trees or on a pergola), rope lighting, twinkle lights (similar to those used at holidays), and solar-powered deck lights. Make sure to purchase high-quality solar products, or you’ll end up spending more on replacement batteries than on purchasing new fixtures. Outdoor living should always blend comfort with functionality. Adding a deck to your home will require an investment of time and money, but with the right amount of planning, you’ll enjoy the benefits for years. Contact KP Construction, the custom deck builder serving Markham, Toronto and GTA, and schedule your free consultation today. Ready To Start Planning Your Custom Deck? How To Choose The Right Custom Deck Builder? 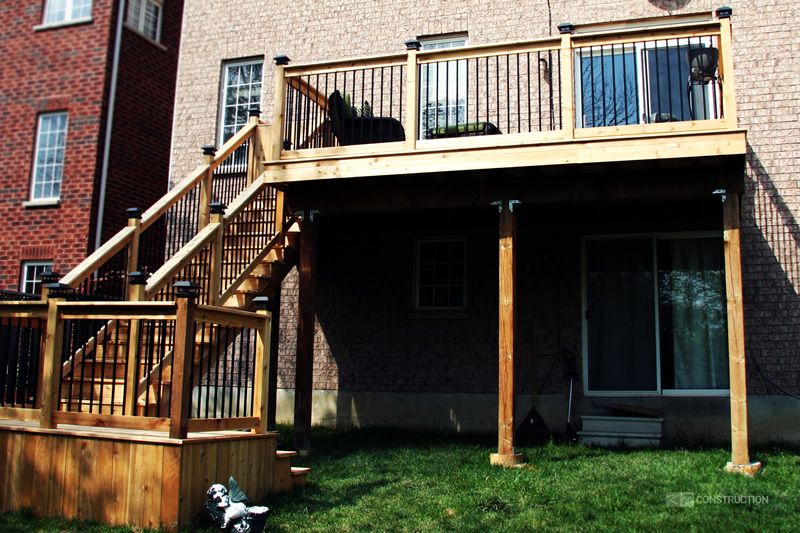 Custom Deck Builder in Toronto and Greater Toronto Area. We offer innovative approach to deck design, planning and building. You will fall in love with your custom deck.